So, for most people the topic of weight loss typically leads to confusion and frustration. I know this because I’ve been on some kind of “diet” since age 11, in the 6th grade. I’ve literally tried it all, multiple times. However, today’s topic is going to be weight loss based on your BODY TYPE, which is one factor that can determine your metabolism. Other factors such as “metabolic type” come into play as well, which I’ll quickly cover at the end of today’s article. This is important because it’s based on your genetics and hormone profile – which is one the most important factors when it comes to weight loss, how you look and feel. One other thing before I start — your goal should NOT be to lose “weight”. 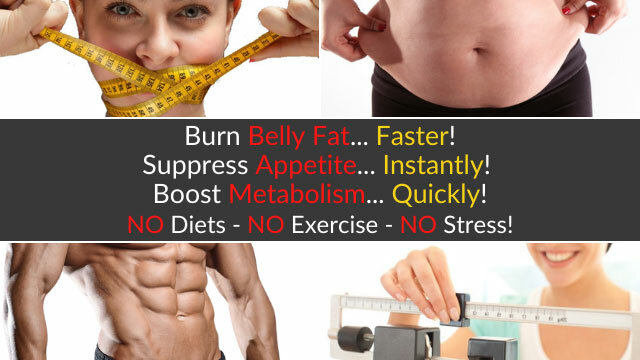 … It should be about losing FAT, especially those stubborn areas such as belly, arms and legs. So there are 3 “somatotypes” or “body” types. Most people are not 100% of either, but usually a blend. The ectomorph is typically “tall and skinny”. They have small joints, narrow hips and shoulders and long limbs. Partly due to their fast metabolism, they have a hard time gaining weight or adding muscle to their tiny frame. Basketball players for example are typically ectomorphs, as are models. Ectomorphs can typically eat a lot more food, especially carbohydrates. In fact, they have better glucose metabolism and blood sugar levels, which allows them to consume more carbohydrates WITHOUT getting fat. Generally they also have faster metabolisms because of higher thyroid levels. Your diet should be about 50% carbs, 25% protein, 25% fats. You can have more carbs because your body just burns through it quickly for energy. When trying to lose a little fat, you should reduce your calories, but NOT by much. Continue eating protein and healthy fats, but lower your simple carbohydrates. However you should also add in some exercise about 3-4x weekly. Keep the workouts short and intense, about 30-45 minutes. Not much is needed. We don’t want to lose valuable muscle. In fact, your best form of exercise is lifting weights to tone up and keep your shape. 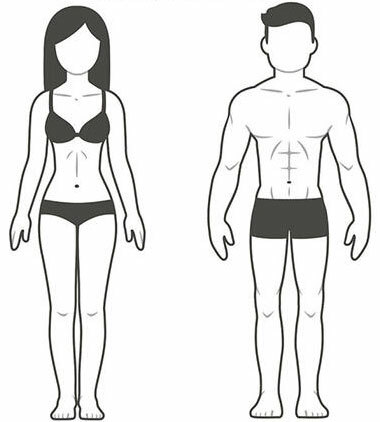 These body types tend to have the best “athletic” genetics. They have the “perfect” metabolism for gaining muscle and losing fat. They are typically fitness models or bodybuilders, wide-receivers in football for example. They have wide shoulders, narrow hips and lots of muscle and strength, with less body fat. You need balance when it comes to fat loss. Your diet should be about 40% carbs, 40% protein, 20% fat. I would keep this ratio and simply reduce total calories. Your need both carbs and protein because of your metabolism and extra muscle. I would also add in exercise. BOTH aerobic cardio and anaerobic weight lifting, in equal amounts. You can exercise about 4-5x weekly. Keep the workouts to 45-60 min, no longer. Finally we have the “big boned” endomorph who requires the most attention to detail when it comes to fat loss. You tend to be more “stocky”. Narrow shoulders, wide hips. Usually shorter, thick arms and legs. You have muscle, but more fat than the 2 other body types. You have a slower metabolism and typically don’t digest carbs well. Your blood sugar shoots up too much and converts the food into fat and because of this, you need to eat less carbohydrates. So your diet should be about 25% carbs, 50% protein and 25% fat. Make sure you have lots of vegetables and fiber, very little simple carbs. You need less anaerobic weight lifting because you can “bulk” up quickly. But you need double the amount of aerobic cardio. You can workout 5-7x weekly, not more than 90 minutes at a time. However, there’s one thing we all have in common, which ALL 3 body types have a challenge about …. the fact your body does NOT like change. In fact, this is why 93% of diets and exercise programs fail in the long-run. And this is even more important for people over the age of 30, especially for women.